I never really intended to be a social media coach, but one day I just happened to crack a code on a social media platform. This simple equation allowed me to drive traffic with just a quick click of a button. Before I knew it I had completely reinvented myself and I had a wait-list of clients who were willing to pay me top dollar to share my secret with them. The secret is that there really IS NO SECRET online or offline that you can’t figure out for yourself. The simplicity of what I discovered is no different than good old fashioned selling through authentic engagement and personal connection. Everything I know about increasing your bottom line in business through social media navigation is completely and totally visible. These aren’t just numbers. These are people. There is something that feels very artificial about easily driving traffic through interpersonal connections, and yet contrary to how it must sound, every message I broadcast is generated from my genuine passion. NOTHING is sly or fraudulent about how I’ve increased my following or how I’ve taught others how to increase theirs. I am willing to bet that if you were to separate the successful moments in your business from the not-so-successful ones, the BANKABLE moments DID NOT come from the manufactured tech messages that were sent from your automated services. They came from real conversations that grew from real relationships based on an equal give and take. Stay connected digitally, but separate yourself from the marketing hype and connect on a personal level. We’ve all had negative social media experiences and therefore we ourselves know what we will not tolerate when it comes to buying into someone else’s hype on the internet. Yet when increasing our own bottom line in business and turning a profit, there is a disconnect. We often find ourselves committing the same bad behaviors that we resent in others. This is the way that my clients often describe their experience in social media and networking platforms. They feel bombarded and overwhelmed by the LOUD and confrontational messages they see from other small business entrepreneurs – which can and often does result in feeling small and invisible. The thunderous and overbearing business agendas on these crowded platforms can be downright deafening. Do we really need to play that game to have a chance at success? Small businesses don’t always mesh with high impact and aggressive sales tactics, so what you think might be an aversion to online selling might actually be an indication that you have what it takes to form everlasting and solid relationships with your clients. Authenticity feels right. Artificiality doesn’t. A good business cannot survive on passion and enthusiasm alone. Sales MUST BE part of the equation, but online selling does not need to be mass produced and manufactured. Even your automated processes should be authentic, organic and compelling. The trick is to adequately balance your online presence with a strategic system that keeps you engaged at a personal level. On this show, I’ll be introducing you to a friend and colleague, Laurie Hurley. Known as the Social Media Navigator, Laurie will be telling us how to streamline and accelerate our online presence on social media without the overwhelm, and in an organized fashion. 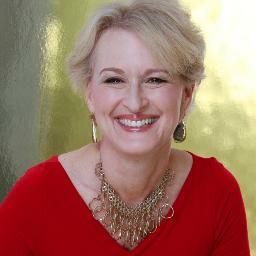 Laurie Hurley is a social media consultant, mentor, and coach. A serial entrepreneur for 18 years, founding 3 educational companies, Laurie embraced social media 2 1/2 years ago and realized her passion is helping other small business owners understand the power of social media marketing. She sold her businesses and devoted herself full-time to working with baby boomers, mompreneurs, entrepreneurs, direct sales people, and individuals who don’t think they have the time or know-how to be on social media. Laurie’s approach is simple, straight-forward, nurturing and, most importantly, based on the philosophy that taking 35 minutes once or twice a day is enough to attract your target market. Laurie is a sought after speaker, one-on-one coach, and the founder of Social Networking Made Simple, her membership group that teaches others the basics of social media. Laurie is also the hostess of her popular weekly radio show, The Social Networking NewsHour on The Woo-Hoo Radio Network. Additionally, Laurie handles complete social media management programs for her private clients. Laurie lies in Newbury Park, CA with her husband, two teenage daughters, dog and three cats.